es you read it right! 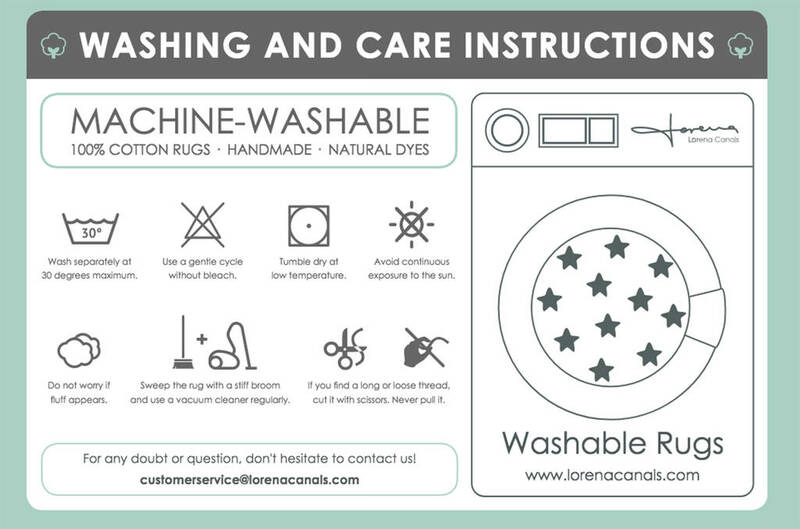 Washable rugs and safe to do so at home. 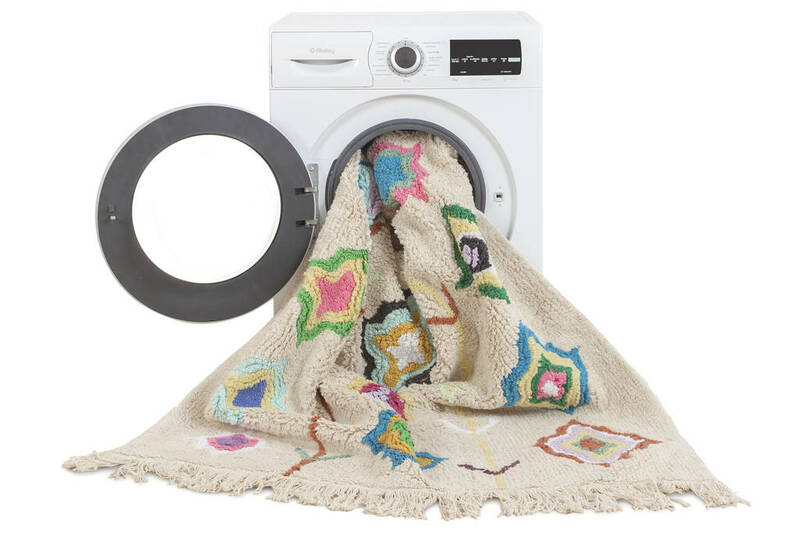 Made from 100% natural cotton and non-toxic dyes. These washable rugs by Lorena Canals are handmade by skilled craftspeople in India to the highest standard and ensuring socially responsible labor practices. 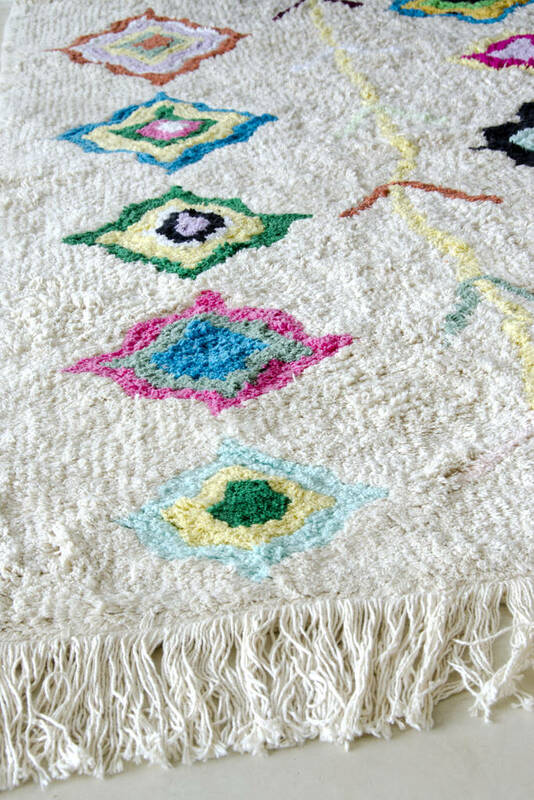 They come in a range of beautiful designs with the Vintage Boucherouite Moroccan rugs as their design inspiration. 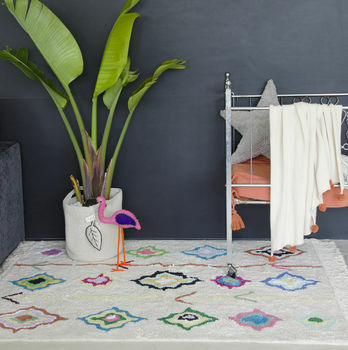 As they are handmade each rug is unique, no two are the same. 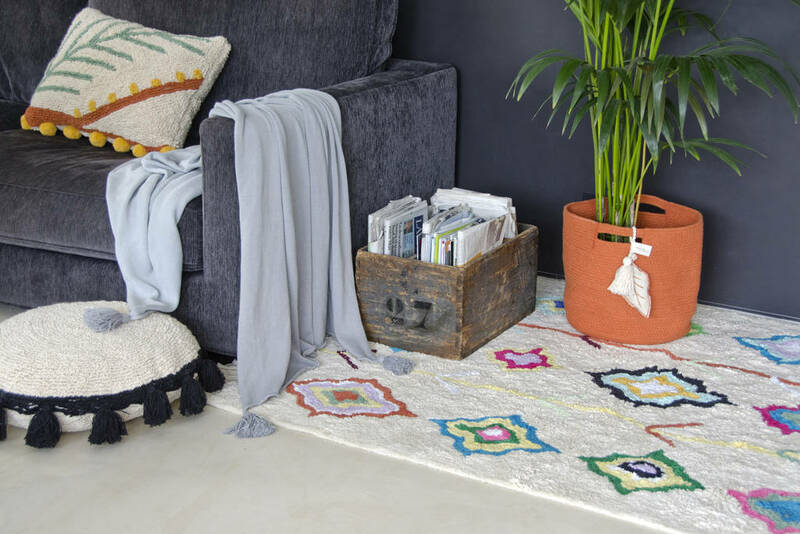 The Kaarol Washable Rug is a natural base with different tribal shapes in multicolours with a long natural fringe on the ends. With the profits from sales, Lorena Canals finances the education through the Sakûla Projectof over 100 children in northern India, giving them the opportunity to decide their future. By purchasing their rugs you are helping these disadvantaged kids to go to school.